William Wordsworth (1770-1850) was a major Romantic poet, based in the Lake District, England. 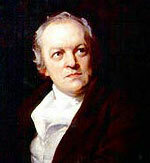 His greatest work was “The Prelude” – dedicated to Samuel Taylor Coleridge. The Prelude is a spiritual autobiography based on Wordsworth’s travels through Europe and his observations of life. 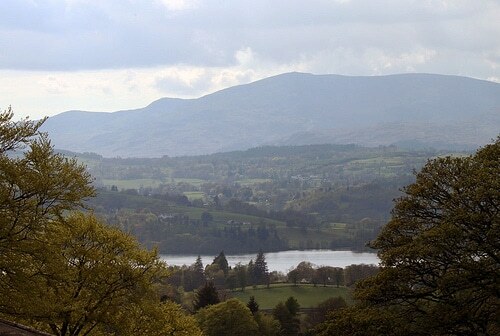 His poetry also takes inspiration from the beauty of nature, especially his native Lake District. Wordsworth was born on 7 April 1770 in Cockermouth, in north-west England. His father, John Wordsworth, introduced the young William to the great poetry of Milton and Shakespeare, but he was frequently absent during William’s childhood. Instead, Wordsworth was brought up by his mother’s parents in Penrith, but this was not a happy period. He frequently felt in conflict with his relations and at times contemplated ending his life. However, as a child, he developed a great love of nature, spending many hours walking in the fells of the Lake District. He also became very close to his sister, Dorothy, who would later become a poet in her own right. In 1778, William was sent to Hawkshead Grammar School in Lancashire; this separated him from his beloved sister for nearly nine years. In 1787, he entered St. John’s College, Cambridge. It was in this year that he had his first published work, a sonnet in the European Magazine. While still a student at Cambridge, in 1790, he travelled to revolutionary France. He was deeply impressed by the revolutionary spirit and the principles of liberty and egalite. He also fell in love with a French woman, Annette Vallon; together they had an illegitimate daughter, Anne Caroline. After graduating from Cambridge, Wordsworth returned to France, where his daughter was born in 1792. However, despite expressing a desire to marry, Wordsworth left France alone, leaving his partner and daughter in France. At the time, there was growing political tension between France and Great Britain. Also, Wordsworth became increasingly estranged from the French Revolution; in the Reign of Terror, he saw the revolutionary principles betrayed. Wordsworth was unable to return to France until 1802 when the political situation improved. Wordsworth later sought to maintain his financial obligations to his daughter, but also kept his illegitimate daughter hidden from the public gaze. Lyrical Ballards includes some of his best-known poems, such as, “Lines Composed a Few Miles above Tintern Abbey”, “A Slumber Did my Spirit Seal”. In 1802, after returning from a brief visit to see his daughter, Wordsworth married a childhood friend, Mary Hutchinson. Dorothy continued to live with the couple, and she became close to Mary as well as her brother. William and Mary had five children, though three died early. In 1813, he received an appointment as Distributor of Stamps for Westmorland; this annual income of £400 gave him greater financial security and enabled him to devote his spare time to poetry. In 1813, he family also moved into Rydal Mount, Grasmere; a picturesque location, which inspired his later poetry. 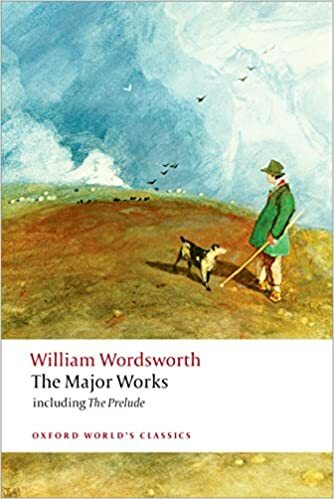 By the 1820s, the critical acclaim for Wordsworth was growing, though ironically critics note that, from this period, his poetry began losing some of its vigour and emotional intensity. His poetry was perhaps a reflection of his own ideas. The 1790s had been a period of emotional turmoil and faith in the revolutionary ideal. Towards the end of his life, his disillusionment with the French Revolution had made him more conservative in outlook. In 1839 he received an honorary degree from Oxford University and received a civil pension of £300 a year from the government. In 1843, he was persuaded to become the nation’s Poet Laureate, despite saying he wouldn’t write any poetry as Poet Laureate. Wordsworth is the only Poet Laureate who never wrote poetry during his official time in the job. 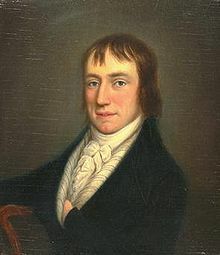 Wordsworth died of pleurisy on 23 April 1850. He was buried in St Oswald’s church Grasmere. After his death, his widow Mary published his autobiographical ‘Poem to Coleridge’ under the title “The Prelude”. 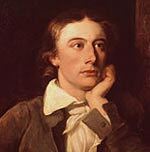 Famous Poets – The great poets, including Shakespear, William Blake, Emily Dickinson, William Wordsworth and Shelley. People of the Romantic Era (1790s to 1850s) The romantic poets (Blake, Keats, Coleridge, Wordsworth and Shelley) and also the romantic artists, composers and writers.